Sugar River Hydro Project, Newport, NH; S. Morgan Smith Francis turbine rebuilt and put on line in 1986 for owner William Ruger, Jr.
Sugar River generator, 125 kW, direct connect, synchronous, General Electric. 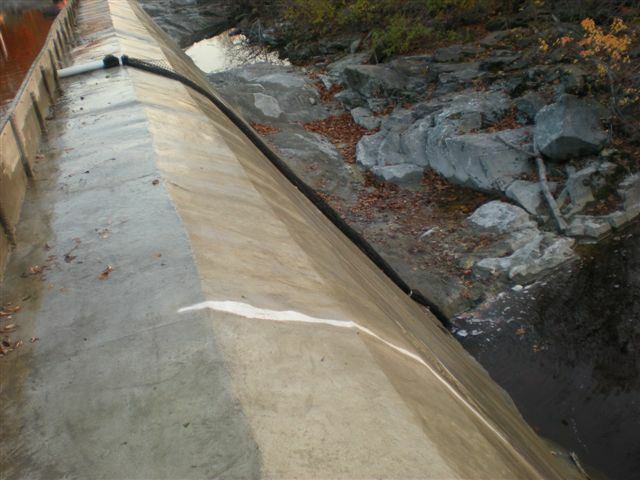 Eel screen Voluntarily made by Summit installed during eel downstream migration in fall. 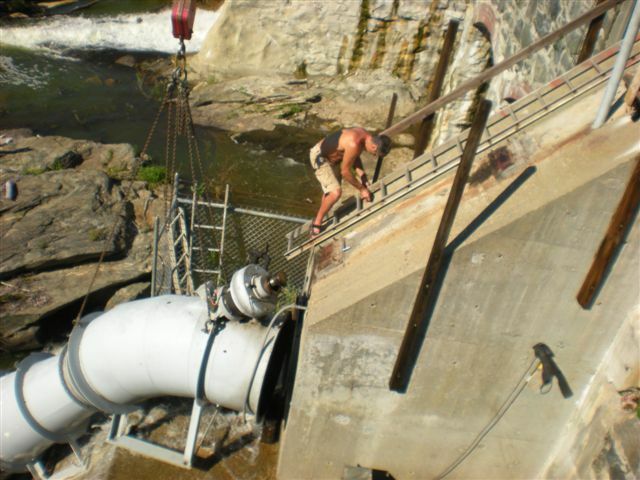 Flygt turbine/generator obtained by Summit from an abandoned hydro site in PA.
Another benefit of hydro: plastic debris removed from the river and properly disposed of. These two barrels of waste can be collected in a single day. The wood debris is composted. The solid concrete dam at Wyre Wynd Hydro (built in the 1920's) was showing some uniform erosion of the downstream surface. 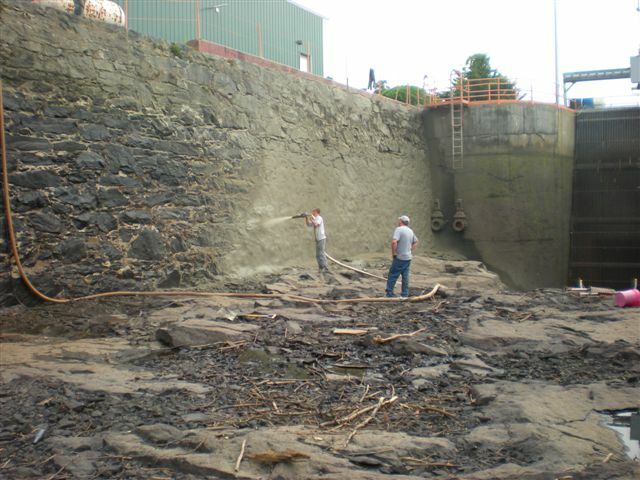 Consequently, during 2009 the dam was resurfaced employing a 3-step process: 1) pressure wash old concrete surface, 2) lay reinforcing steel, and 3) shoot approx. 6" thick concrete utilizing Gunite placement process. 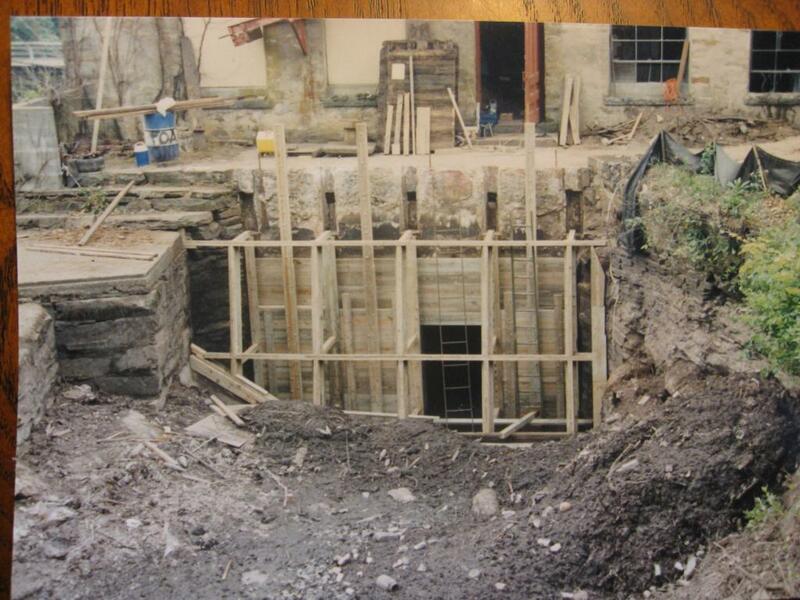 September 2009 forebay was drained and stone walls were Gunite finished to eliminate leakage and strengthen walls. The resurfacing project involved 7 men working 7 weeks, 450 man hours of pressure washing, 242 yards (35 truck loads) of concrete, 2 tons of epoxy coated rebar. Job completed 11/2/09. 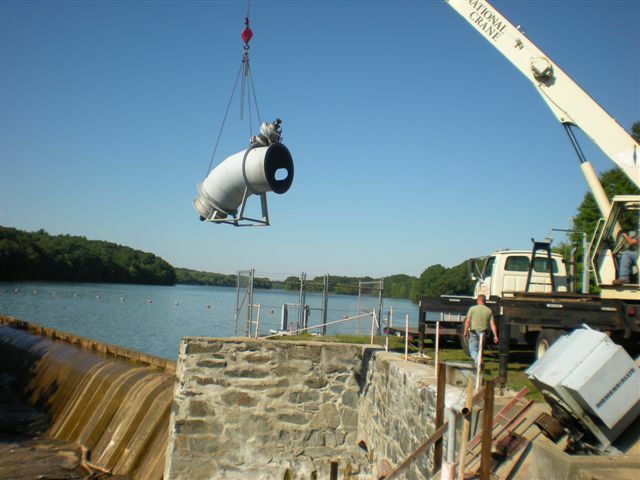 The Gunite process consists of dry concrete mix blown through a hose with water introduced at the nozzle. Adding minimal water at the last moment results in zero slump and a very strong finished product. A-1 Gunite Construction, Inc. employee Kevin shoots a section. The Gunite process eliminates the cost of form work that would be necessary with poured concrete. 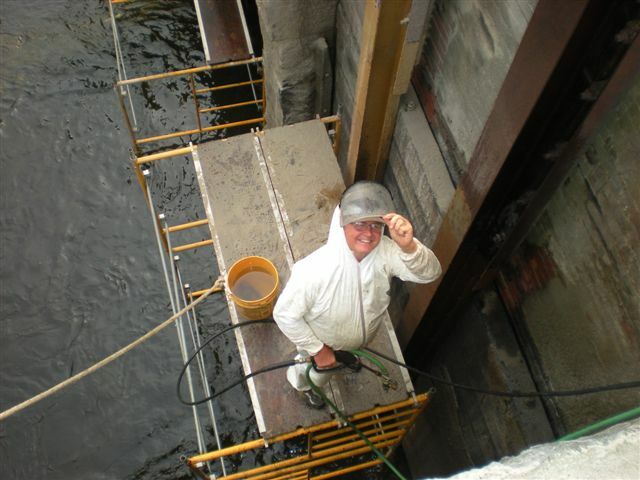 Duncan smoothes and levels the concrete to minimize erosion from flowing water. 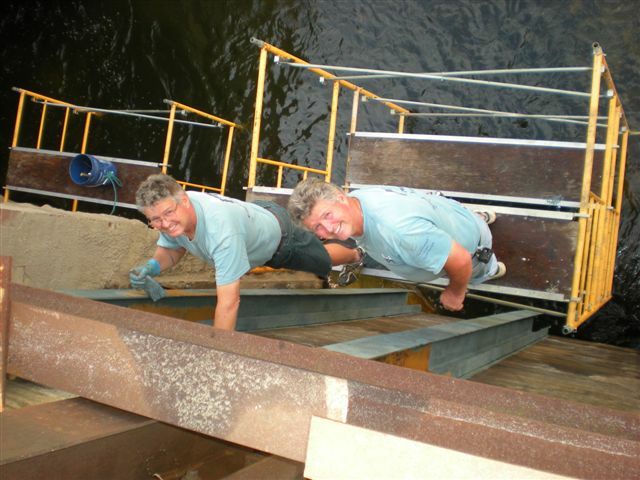 SHI employees, Rick (left) and Bob are identical twins who keep things running smoothly at the hydros. Who do you think is the harder worker on this day? Newly resurfaced dam and two new eel net ladders, 11/3/09. New timber intake gates and trash rack structure built by SHI for Glen Falls project. 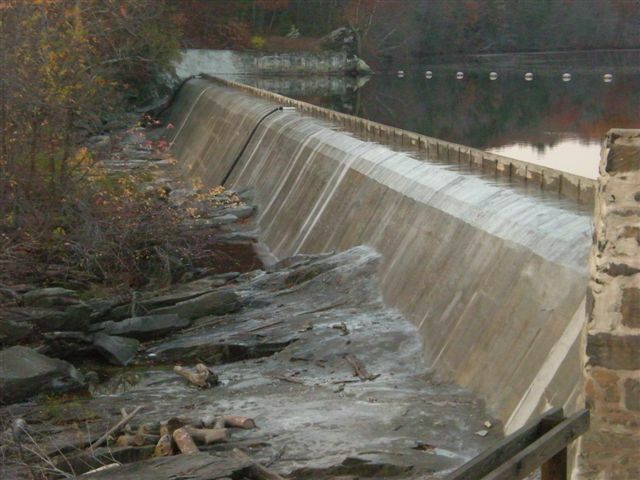 Woodstock, CT High School student Riley S. did a class project on hydropower. In order to understand some of the tasks involved we had her help rake the trash racks! 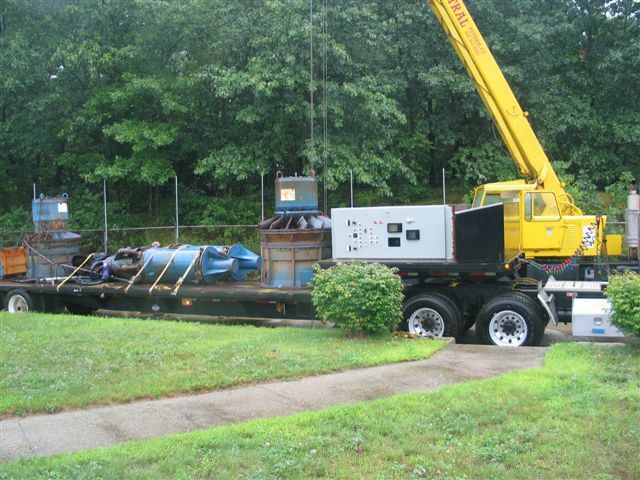 Surplus turbines, generators, hydraulic controls and switchgear purchased by Summit Hydropower for a hydroelectric project in Connecticut. 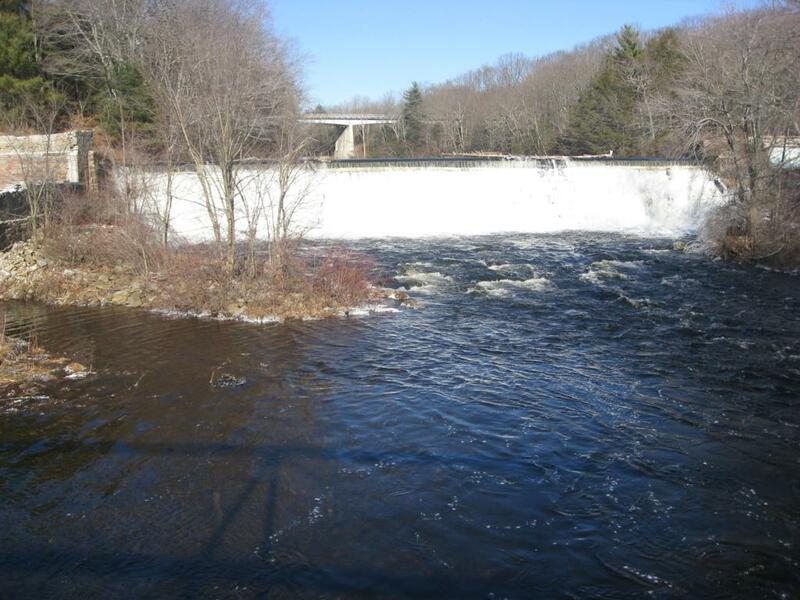 Glen Falls hydro project planned for redevelopment by SHI. View of propeller looking upstream, approx. 10' diameter, 4 blades. Beginning of blade seal replacement job at blade trunion, September 2009. Installation of new blade seal with brass crescent section removed. Summit Hydro owner Duncan Broatch surveying cross sections in river for Collinsville Lower Fish Transportability Study, February 28, 1991. 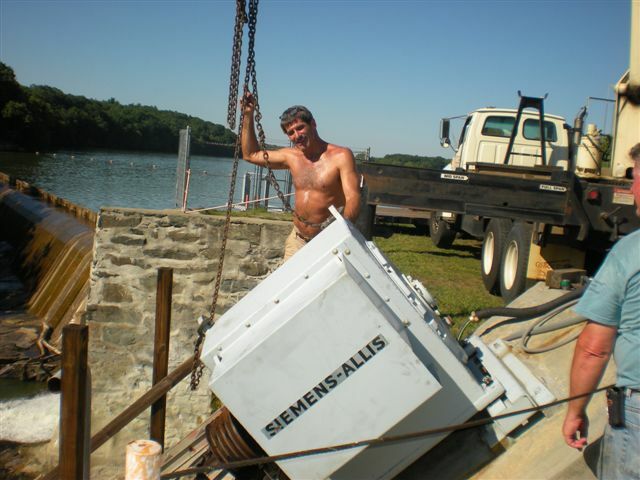 Mini generator being rigged for removal to replace bearings, 80 kW. Mini turbine at Wyre Wynd Hydro being removed for servicing, August 2010. Drain gate stems being water sand blasted by Rick to prepare surface for epoxy coating, August, 2010. Mini turbine being placed on truck for transport to shop to replace bearings. Drain gate stems were coated with one coat of zinc primer then two coats of moisture cure epoxy. 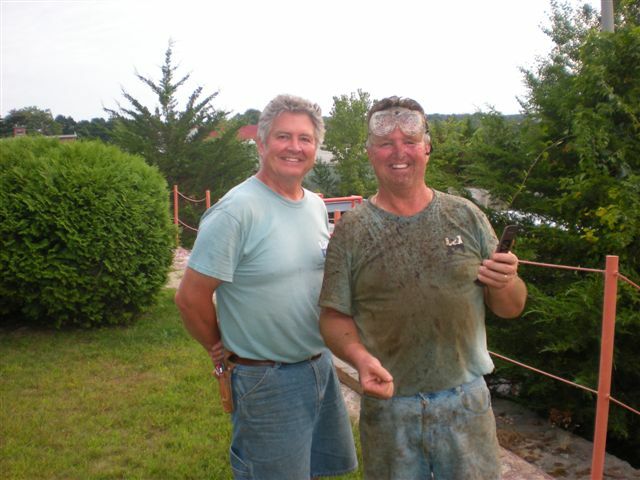 Yes, Bob and Rick are identical twins. ©Copyright 2014, Summit Hydropower, Inc. All rights reserved.